To determine how much online shopping was really happening, we first asked residents how many packages they receive in a typical month. And more than a quarter (26.08%) said they receive, on average, at least one a month (as you can see in the chart below). 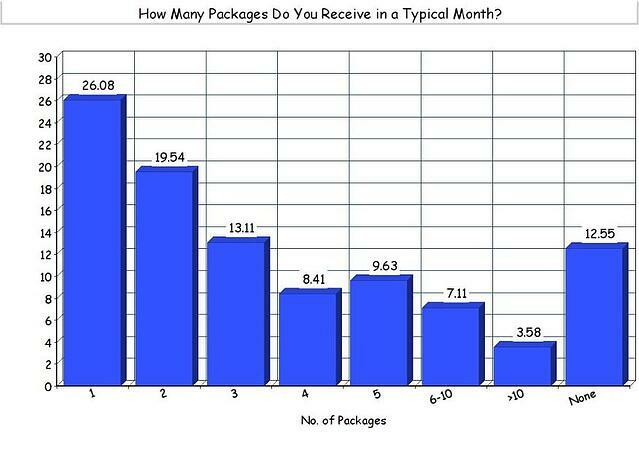 Nearly 20% of those surveyed receive at least two packages per month, while almost 17% said they get five to 10 packages a month. That is a significant number of residents who need to pick up packages on a monthly basis. Property owners and managers are struggling to keep up with the volume, and we can see the evidence of their difficulties in the responses to our next question. 27.24% of those polled (or more than 22,800 renters) indicated that they personally have experienced problems and/or inefficiencies with receiving packages. In an attempt to remove themselves from the equation, many companies now have packages go straight to residents’ doors. But sometimes one solution creates another problem, in this case packages can go missing once left at the doorstep. 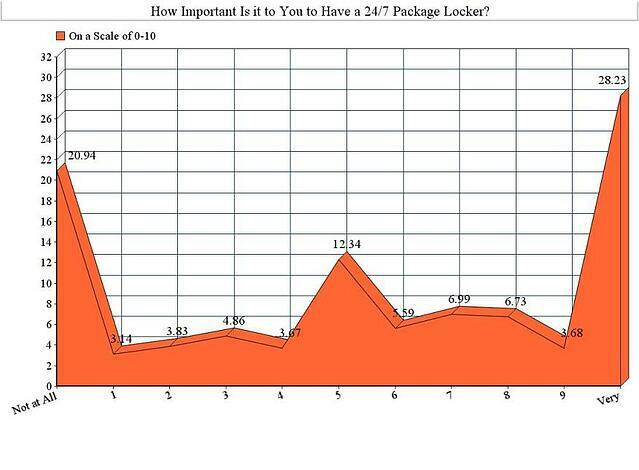 As a result, an increasing number of owners are turning to package lockers. 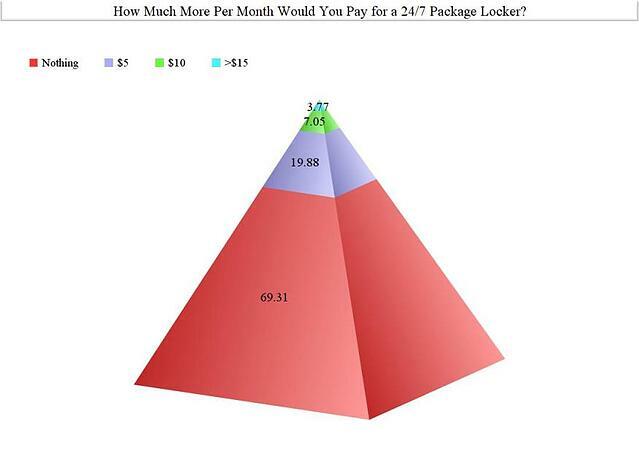 Access to a 24/7 package locker has become a factor in residents' satisfaction with their apartment community. 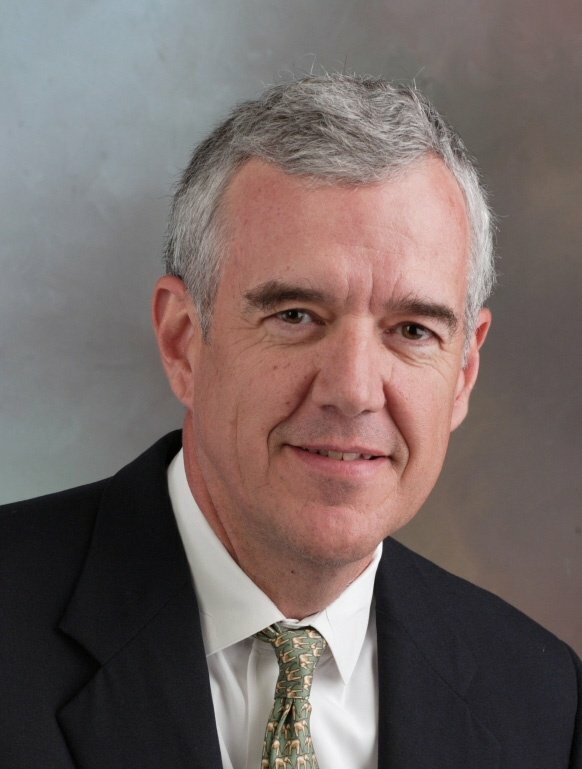 When asked how important package lockers were to them (on a scale of 0 to 10), 28.23% of renters rated them at the top—"very important"—with the clear majority indicating a preference for such on-site storage devices. 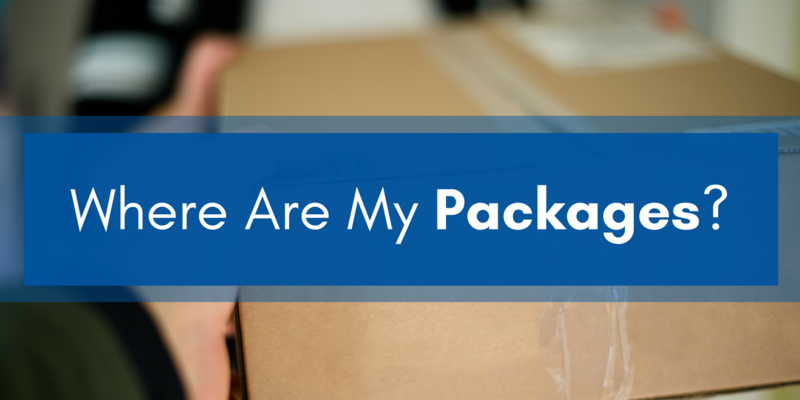 So we know that package delivery needs to be streamlined, we know that residents favor the package locker option - but will they pay for the added amenity? According to the survey, an overwhelming majority of renters expect efficient delivery of their packages to be a free, on-demand amenity. But, nearly 20% of those polled said they'd be willing to kick in another $5 per month to live in a community with package lockers, while 7.05% said they'd absorb an extra $10 per month. There were even some, 3.77% of respondents, willing to spend at least $15 more per month for the amenity. All together, more than 30% of all renters are explicitly willing to pay extra to live in a community that offers package lockers. Will this become a standard amenity in The Next Gen Apartment?